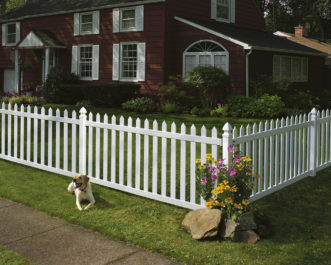 When you need vinyl fencing installed in your Collinsville, Illinois yard, call on Chesley Fence & Deck. We have decades of experience in the industry and have installed more fencing than any of our competitors. Additionally, we always strive to please our customers, going above and beyond to make sure they are satisfied with their new fencing. It is because of this dedication that we continue to maintain an A+ rating with the Better Business Bureau. 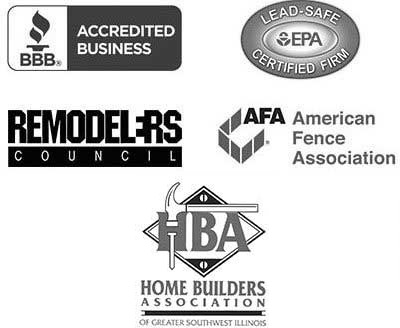 What’s more, our vinyl fencing is American-made and always installed by our own certified and trained technicians, never subcontractors, with the utmost skill and precision and according to manufacturer specifications to ensure its longevity. We are so confident in the installation techniques of our employees that we offer a three-year warranty on all labor for added peace of mind. To learn more about how vinyl fencing from Chesley Fence & Deck can enhance your yard, contact us today. We are proud to serve all homeowners in Collinsville, IL and nearby cities.